Aiding and abetting is a serious criminal offense in Virginia. You do not need to be present at the scene of the crime or need to have helped commit the crime in question in order to be charged with aiding and abetting. Similarly, being an accessory after the fact can land you in prison or jail as well. An accessory after the fact is a person who knowingly assists another person who committed a crime to avoid arrest or punishment. Accessories after the fact are not accomplices in the crime itself. Their assistance to the criminal is grounds for punishment in and of itself. If the crime was a felony, every accessory after the fact is subject to a Class 1 misdemeanor, which is punishable in Virginia by up to 12 months in jail and a fine not exceeding $2,500. However, much more serious punishments await those who helped another commit a more serious crime, such as murder or an act of terrorism. However, if any of these relatives aided in the commission of the crime itself (accessories before the fact), they will face criminal charges. If the felony was a homicide then, according to Virginia statute § 18.2-19, every accessory after the fact can be charged with a Class 6 felony so long as the homicide is punishable by death or a Class 2 felony. A Class 6 felony, the charge that an accessory to a crime faces, is punishable by one to five years in prison and a fine of $2,500. However, no person in the relation of husband or wife, parent or grandparent, child or grandchild, brother or sister, by consanguinity or affinity, or servant to the offender, who, after the commission of a felony, shall aid or assist a principal felon or accessory before the fact to avoid or escape from prosecution or punishment, shall be deemed an accessory after the fact. 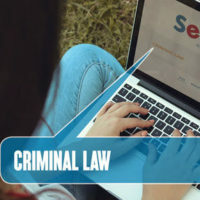 Conspiring to commit, committing, or aiding and abetting an act of terrorism can be punished as a Class 2 felony and up to life in prison or a Class 3 felony and up to 20 years in prison. By soliciting, recruiting, inviting, or encouraging another to commit an act of terrorism, a defendant faces a Class 4 felony, according to § 18.2-46.5. Whether you have been charged with aiding and abetting or an accessory after the fact, you need legal help at once. Call the attorneys at Simms Showers, LLP at 703-997-7821 or online via a quick form.